1 beat the egg whites until they are stiff. 2 add the powdered sugar and beat some more until the egg whites look shiny and smooth. 3 pour 1/2 cup into a cup and reserve for later. 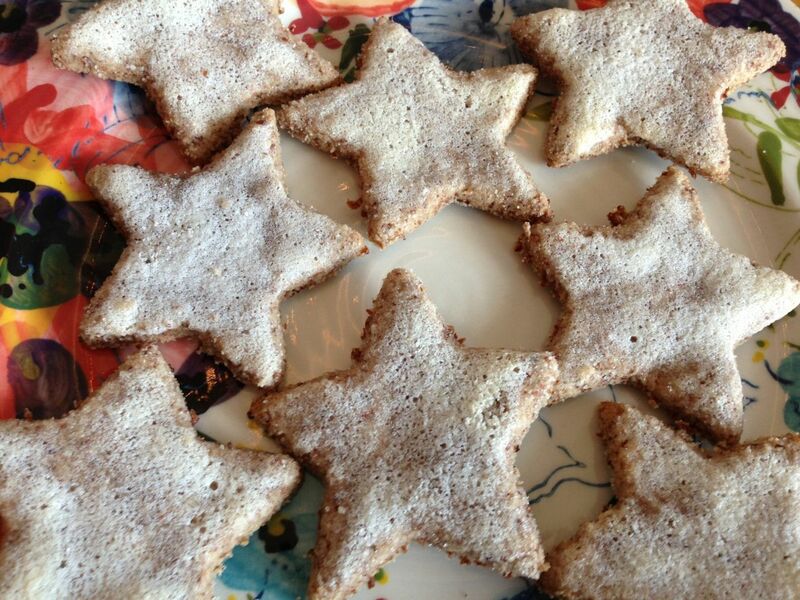 4 add cinnamon, lemon juice and almonds to the egg whites and mix into a dough. 5 roll out part of the dough to about 1/4" on sugar, so it will not stick. 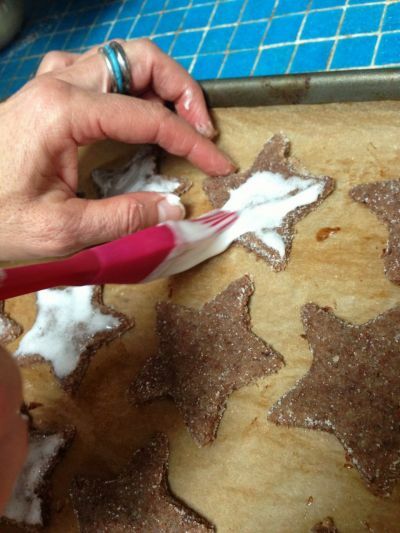 Cut out stars, or any shape you like, and put them on to a greased baking sheet. Repeat until you used all the dough. 6 brush the cookies with the reserved egg white mixture. 7 let the cookies dry overnight. 8 preheat oven to 450F and then bake the cookies in the middle of the oven for only 3-4 minutes.